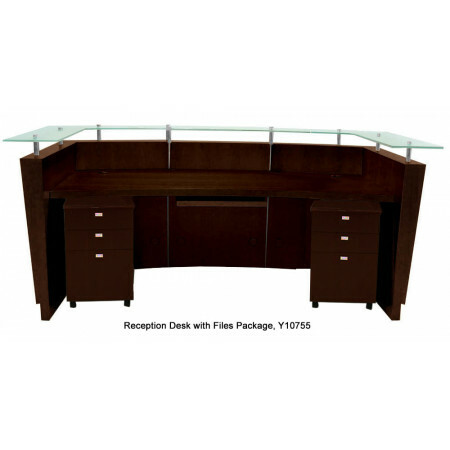 Our beautiful genuine Walnut veneer reception station will present the professional image your organization desires. 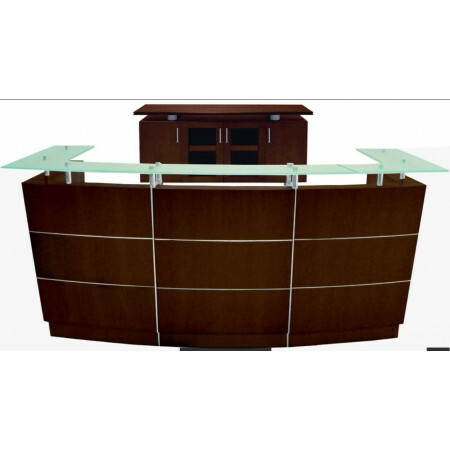 Tempered glass counter tops supported by chrome posts appear to float over thick slabs of real wood panels with horizontal and vertical accents. 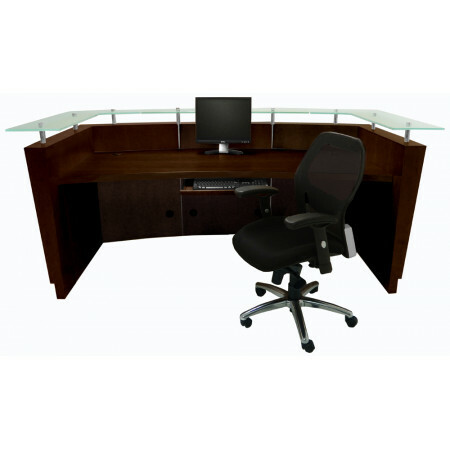 This extremely heavy and substantial piece of furniture rivals any custom built-in reception station with only a moderate investment. 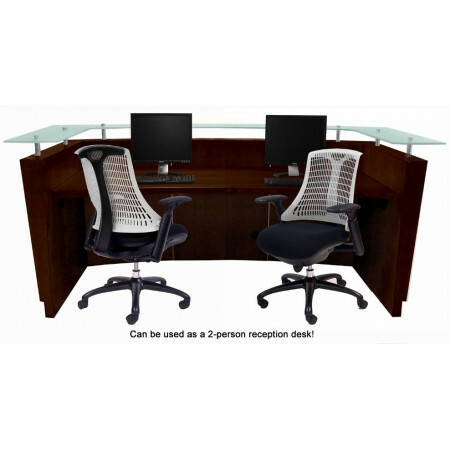 Ample space to be used as either a one or two person reception station. This reception desk ships unassembled for safety in transit. Requires two people for assembly. Shipping weight 880 lbs. PRICE INCLUDES SHIPPING (Truck shipment - Dock to Dock only. Inside deliveries, Lift gate and Residential are extra). IN STOCK!